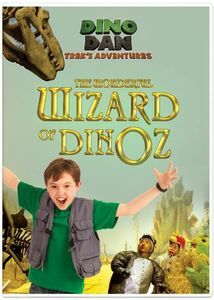 Dino Dan: The Wonderful Wizard Of Dinoz is a super fun DVD for kids! My kiddos absolutely love Trek Henderson and his wild imagination. After watching Dino Dan: The Wonderful Wizard Of Dinoz my kids immediately asked to watch it again and have since watched it just about everyday. I'll even admit I too enjoy watching this DVD with them and plan on getting a copy to gift to their dinosaur loving cousin. Dino Dan: The Wonderful Wizard Of Dinoz is extremely entertaining and full of all sorts of fun for kids and I highly recommend it!